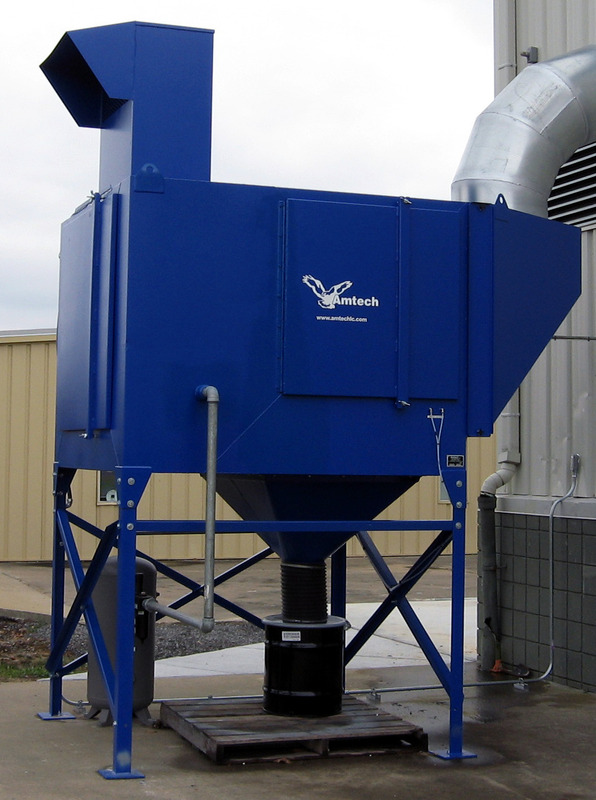 The AV Series dust collector is a self-contained, compact design, efficient and effective for weld fume with vertically positioned filters. • Reverse jet pulse design optimizes filter cleaning, extends filter life, and reduces maintenance. • Relocation of Autovent units due to changes in plant layout is simple and cost effective. • Custom Ductwork Design and Fabrication is available. • Dust Drawer and Access Door facilitates ease of maintenance. • Carbon Steel Welded Construction 7 ga./11 ga.